In the present paper we analyze algebraic structures arising in Yang-Mills theory. The paper should be considered as a part of a project started with  and devoted to maximally supersymmetric Yang-Mills theories. In this paper we collect those of our results which hold without the assumption of supersymmetry and use them to give rigorous proofs of some results of . We consider two different algebraic interpretations of Yang-Mills theory—in terms of A ∞-algebras and in terms of representations of Lie algebras (or associative algebras). We analyze the relations between these two approaches and calculate some Hochschild (co)homology of the algebras in question. 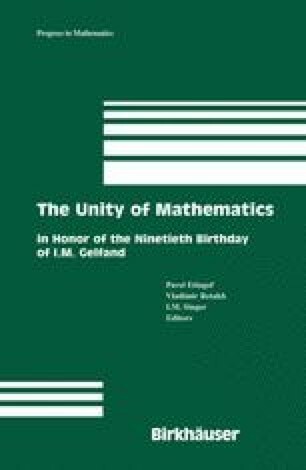 To I. M. Gelfand with admiration.